Heritage impact assessments (HIAs) and Environmental Impact Assessments (EIAs) are increasingly required to analyze possible effects and consequences of development on the Outstanding Universal Value (OUV) of World Heritage properties. However, some of the key stakeholders involved in the implementation of the World Heritage Convention and the monitoring of sites are lacking the governance framework and the methodological tools and guidelines to carry out effective impact assessments. The objective of the project is to strengthen the implementation of the World Heritage Convention and the protection of World Heritage properties by providing tools and guidance to State Parties and major stakeholders to better assess the potential impact of projects, including assessment of cumulative impacts, and assisting in raising awareness for the protection of OUV prior to project design. The project also aims to meet the needs in capacity building at regional, national and local level. Furthermore, outreaching to funding institutions or developers is also a key issue to ensure World Heritage values and protection of OUV is integrated upstream as a key requirement and at the earlier stage of project concept design phase. The key objective of the World Heritage Convention is to identify and protect heritage. Adaptation to change, developments projects and modernization or basic maintenance activities at World Heritage properties should in no way affect the values for which they were inscribed (Outstanding Universal Value - OUV). However, in all regions of the world, there are recurring issues assessing the potential impact of threats on the OUV of World Heritage properties. More and more decisions by the World Heritage Committee include requests for impact assessments. Over the past years, the main threats are building and development, services infrastructure, as well as social/cultural uses of heritage such as impacts of tourism, and biological resource modification such as land conversion. Decisions equally refer to dams, airports, roads and tunnels. Furthermore, the need for impact assessments is almost always related to properties with poor management systems and plans, and which often have legal framework issues. Poor management of a World Heritage property is in itself a threat to its OUV. A series of tools on impact assessment and World Heritage have been prepared in recent years by ICOMOS and IUCN, such as the Guidance on Heritage Impact Assessment (HIA) for Cultural World Heritage properties published by ICOMOS in 2011, or IUCN’s World Heritage advice note: environmental assessment (EIA) published in 2013. Furthermore, ICCROM has designed courses on HIAs. However, conducting impact assessments remains a challenging process for many States Parties and key stakeholders. They have expressed the need for further guidance for implementing HIA/EIA and linking the HIA/EIA process with governance and management processes. The overarching objective is the protection and management of World Heritage properties and strengthening governance and management. Analyzing and understanding Heritage Impact Assessments and Environmental Impact Assessments. The methodology, the scope, implementation framework and outcome of HIAs and IEA will be assessed, as well as the governance and management framework in which HIAs and EIAs are conducted. Such an analysis will provide a better understanding of threats and challenges and the results of the analysis could be cross-referenced with other tools of the World Heritage Centre. producing guidelines for major funding institutions and developers. an online course/MOOC (massive open online course). States Parties and key stakeholders, including local governments, responsible for managing World Heritage properties will better understand how to assess and cope with threats and challenges to OUV. Developers and funding agencies and institutions at international regional and national level will benefit from improved projects by taking into account World Heritage values at the earlier stage of project design, which will in turn ensure a more cost-effective implementation and quality results. The project will help achieving a balance between conservation priorities and development, and contribute to reducing threats and enhance management in line with the implementation of the SDGs. In the long term, this would also help reducing the number of properties on the World Heritage List in Danger. Month 1 to month 4: setting up of working group. Establishment of a framework and preparation of data collecting template. Month 5 to month 6: call for contributions. Consultation meetings. Analysis of incoming material. Month 7 to month 12: HIA/EIA database development and upload of data. Upload of case studies. Month 13 to month 22: development of a capacity building strategy and programme. Regional workshops and consultation meetings. Month 23 to month 33: finalization of a MOOC (massive open online course) and launch of the regional training courses. 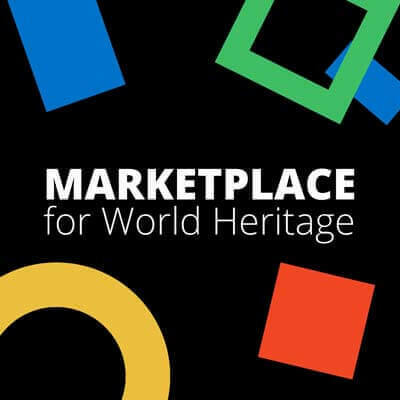 It is to be noted that presentations to the World Heritage Committee (reporting and side-event) would take place twice during the course of the project. During its 30th session (Bonn, 2015, Decision 39 COM 7.11), the World Heritage Committee noted the benefits for States Parties of systematically utilizing Heritage Impact Assessments (HIAs) and Environmental Impact Assessments (EIAs) in the review of development projects, and encouraged States Parties to integrate the EIA/HIA processes into legislation, planning mechanisms and management plans. It also took into account the need for capacity-building in this regard, and requested the States Parties to contribute financially and technically towards the development of further guidance regarding EIA/HIA implementation, by the Advisory Bodies and the World Heritage Centre, based on case studies and field experience. The World Heritage Centre being the Secretariat of the World Heritage Convention is the best positioned to carry out the project in cooperation with the Advisory Bodies and State Parties. An estimated overall extrabudgetary funding of US$ 95,000 is needed for the implementation of this activity. These funds will cover the follow-up and financial support of action camp projects at local and regional levels (Africa, LDC); meetings, trainings and workshops for selected organizations, documentation and outreach promotion s of WHV yearly Campaign, as well as monitoring visits of the action camp projects and coordination costs.